KAYU® Mas™ is a gorgeous, dense exotic hardwood with a unique blend of rich, golden red/brown colors. It is a proven performer with the ultimate combination of warmth, beauty, adaptability, durability, performance and value. Extremely dense, durable, kiln dried, smoothly finished. 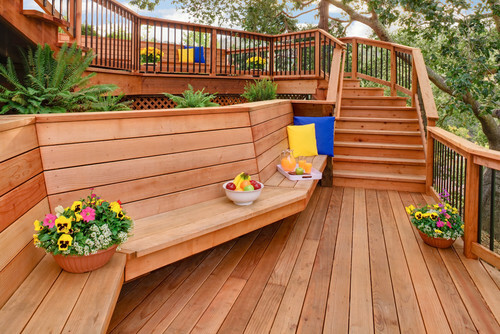 Priced considerably lower than Ipe with a more beautiful look and greater density.